Ireland's unique cruising experience offer lush green countryside, majestic rivers, tranquil canals, a rich heritage and a warm welcome. 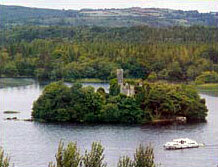 We offer holidays afloat on all sections of the Irish waterways, by canal boat or river cruiser. From Belleek at the northern tip of Lough Erne to Killaloe at the southern end of the River Shannon, there are 300 miles of inter-connecting rivers and lakes forming the Shannon and Erne Waterways. A further 150 miles of uncrowded waterways make up the Grand Canal and River Barrow systems. All take you through some of the loveliest countryside in Europe, a perfect opportunity to sample unspoilt Ireland.